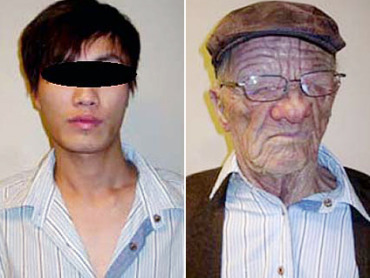 VANCOUVER, British Columbia (CBS/AP) The lawyer for a young man who Canadian authorities say boarded an Air Canada flight in Hong Kong disguised as an elderly man requested Monday that the media be banned from covering his client's immigration hearings to protect his identity. Lawyer Dan McLeod told Canada's Immigration and Refugee Board that the man is an asylum seeker from China and is very concerned that information disclosed at the hearing might become available to Chinese authorities. "This is an extremely unusual case in that there has been an extremely serious and potentially dangerous leak about a refugee claimant by an unknown Canada Border Services official," McLeod told the adjudicator, referring to an intelligence alert about the man that was leaked to the media last week. The man's name has not been released and McLeod said it should remain that way because disclosure could result in persecution or retribution from China. Authorities have not suggested any terrorist link to the man who boarded the Air Canada flight in Hong Kong on Oct. 29 wearing a remarkably detailed silicone mask disguising him as an elderly white man. The internal intelligence alert from the Canadian Border Services Agency shows before-and-after photos of the man with and without the mask, saying he removed the disguise in a washroom mid-flight. A Hong Kong official told the AP that the impostor is a mainland Chinese citizen who was transiting through Hong Kong. The official declined to be named because she is not authorized to release the information.